How do you domesticate a zebra? You can’t, or at least that’s the justification put forward by Jared Diamond in his Guns, Germs and Steel for why these wild beasts were never used as draught animals or cavalry in sub-Saharan Africa. Much of what Diamond writes has a logical ring to it, and whilst the evidence is sparse and in places contradictory, his conclusions fit the necessarily teleological approach. Others have accused him of too much geographical determinism, and perhaps they have a point, but the one thing which struck me as being peculiarly out of place in Diamond’s writing was his treatment of Africa’s wild animals as being unsuitable for domestication. He argued that it was only by chance that Eurasia benefited from having suitable species such as goats, sheep, cattle and horses, and that the native varieties of these animals in sub-Saharan Africa were inherintly unsuitable. To be domesticated, animals must meet certain criteria. For example, they must have a good disposition and should not panic under pressure. 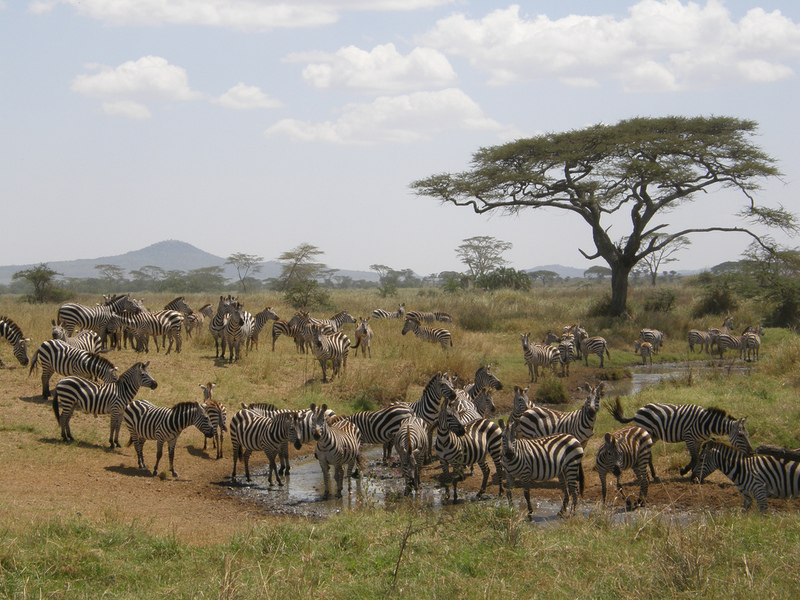 Zebras’ unpredictable nature and tendency to attack preclude them from being good candidates for domestication. Despite the lack of a ‘good disposition’ however, this same link illustrates that zebras have on occasion been tamed and hybridized with other ungulates to produce zorses and zonkeys. So zebras can be ridden, they can be used to pull carriages but are nevertheless somehow unsuitable for domestication. Diamond argued that the proof lay in the continued inability to domesticate the zebra in modern times, but just how much effort has gone into such endeavours? The argument just doesn’t seem persuasive enough. Wolves don’t tend to make great pets, yet they have produced man’s best friend, and presumably the common ancestor to the horse and zebra would have been a challenge to train. That isn’t to say that Diamond’s logic is entirely flawed. Whilst the idea of Europe being overrun by the deadly llama cavalry of the Incans is rather appealing, llamas simply aren’t comparable to horses in size or strength. And whilst elephants can be tamed, the idea of truly domesticating them would be challenging to say the least. But simply because zebras haven’t been domesticated doesn’t seem a strong enough argument to say they couldn’t be. Take a litter of kittens and socialise them, and you’ll probably find even within that small genetic sample, some are bolder and more malleable than others, whilst others are consumed by a fear of humans. Over time, such traits can be developed within a particular species, as modern day domestic animals surely attest to. With creatures like horses, the task of domestication is much greater than with many other species perhaps, and building in a genetic predisposition to being handled takes much longer. Whilst Diamond may have been motivated by an anti-racist polemic in his defence of sub-Saharan Africa’s lack of domesticated species, his geographic determinism might once more be closer to the truth in that the sheer size of the Eurasia landmass offered greater scope for the domestication of horses. Cultural influences must be taken into account of course, and comparing Native American horsemanship to the lack of zebra riding Zulus seems quite out of place. Whatever the reality turns out to be, I doubt we’ll be seeing zebras running the Derby any time soon.